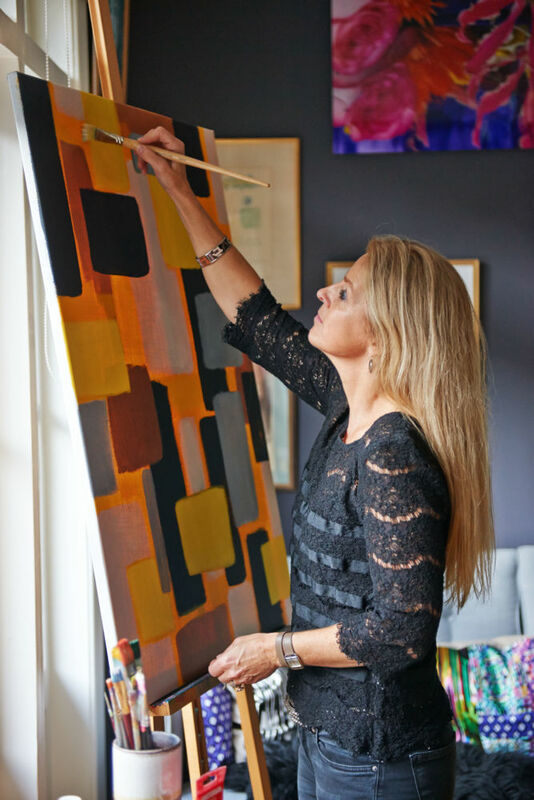 Renowned for her vibrant colors and bold patterns Amsterdam based artist and designer MARISKA MEIJERS is dedicated to create original, uplifting designs, propelling her art into everyday life. Based on her hand painted designs her collections are authentic, welcoming and distinctive. Mariska strives to create modern classics with a twist that can be effortlessly combined. Craftmanship using high quality materials is key. The icon in her logo reconfirms the essence of the Mariska Meijers Amsterdam brand representing the Chinese character for double happiness. Since launching her first pillow collection in 2010 the brand has expanded to trays, tray tables, wall paper, fabrics by the meter, lampshades and stationary with many categories to be added in the near future. Meijers Amsterdam collection is sold through luxury retailers as well as specialty, interior design and museum stores, including Barneys NY, Selfridges, Le Bon Marché, Gracious Home and Wynn Las Vegas. Mariska has collaborated with many notable companies and brands such as Sofa.com, KLM, Sofitel, Royal Delft, Amsterdam Mercedes Benz Fashion Week, and Okura. Her work has been featured in traditional and online media, including The World Of Interiors, VOGUE.COM, Architectural Digest, Traditional Home, Living Etc, Homes & Gardens, House & Garden, Country Living, Marie Claire Maison, Domino, ELLE Decoration, GLAMOUR, Red.